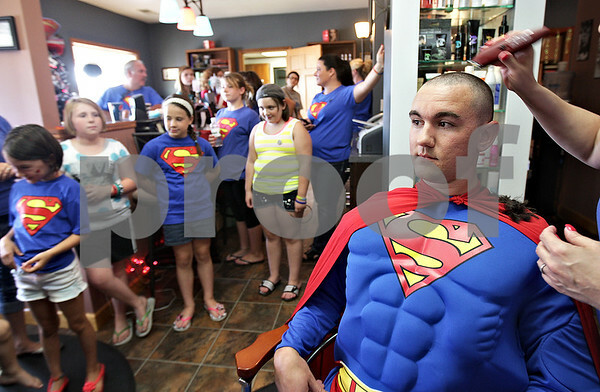 A crowd of Dylan Carey supporters watched as Carey's idol, Superman, got his head shaved in support of his fan at Q Salon and Quinn's Grooming Parlour in Shabbona on Saturday, August 17, 2013. Dylan was diagnosed with neuroblastoma last month. All proceeds from the fundraiser went to the Carey family to help cover medical expenses.